The Texas Legends and InTouch Credit Union are teaming up to bring you the newest club in town! Be a part of the action as we launch Dunker’s Kids Club presented by InTouch Credit Union. You can show off your Legends pride to your friends or at school with everything you will receive as a member! 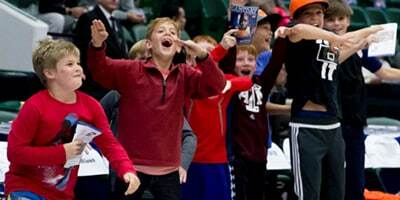 Kids Club members receive: Kids Club T-Shirt, Texas Legends Stickers, access to exclusive Kids Club Events, and more. 1. Lunch/Dinner with a Texas Legends player (subject to availability): The winner and their family will dine with a Texas Legends player. Players are subject to availability. 2. Head Coach for a Day: The winner will get to join the Legends Head Coach to help run a practice, call drills and plays, and take part in the experience of helping to build and lead a team. 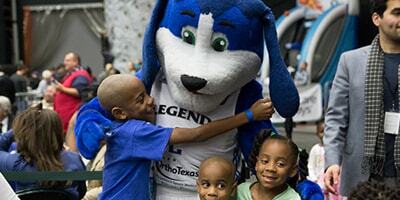 To Register for Dunker’s Kids Club presented by InTouch Credit Union, Sign Up Below or visit the Guest Services desk at any Texas Legends Home Game.